What can you do with the SEO Log File Analyser? View and analyse exactly which URLs Googlebot & other search bots are able to crawl, when and how frequently. Get insight to which search bots crawl most frequently, how many URLs are crawled each day and the total number of bot events. Discover all response codes, broken links and errors that search engine bots have encountered while crawling your site. Find temporary and permanent redirects encountered by search bots, that might be different to those in a browser or simulated crawl. Analyse your most and least crawled URLs & directories of the site, to identify waste and improve crawl efficiency. Review the average bytes downloaded & time taken to identify large pages or performance issues. Import a list of URLs and match against log file data, to identify orphan or unknown pages or URLs which Googlebot hasn't crawled. Import and match any data with a 'URLs' column against log file data. So import crawls, directives, or external link data for advanced analysis. * The maximum number of log events you can analyse is dependent on hard drive capacity. Please see our FAQ. Average Bytes – Analyse the average bytes of every crawled URL direct from log file event data. Average Response Time (ms) – Discover the average response time of every URL. Referers – View the number of referer events for every URL discovered. Directories – Analyse the most and least frequently crawled directories and sections of the site. Uncrawled URLs – Import a list of URLs & discover URLs which have not been crawled. Orphan URLs – Import a list of URLs & discover which are in log data, but not known by you. Analyse Bots Over Time – Upload multiple log files over at once or over time, to analyse and measure bot activity. Compare Any Data – Upload any data with a ‘URLs’ header to automatically match against log file data and analyse. Verify Search Bots – Automatically verify search bots such as Googlebot, and view IPs spoofing requests. 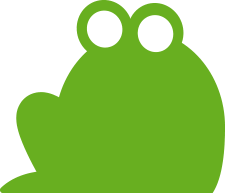 The Screaming Frog Log File Analyser allows you to quickly upload a log file and analyse it from an SEO perspective. Log file data is extremely valuable as it shows exactly what has happened when a search engine bot visits your website. However, log files can be extremely large in size and difficult to analyse, without programming experience or the right tool. The Log File Analyser is specifically designed for SEOs to make this process less painful. The Log File Analyser supports Apache and W3C Extended Log File Format which covers Apache, IIS and NGINX servers. This also covers Amazon Elastic Load Balancing custom log file format. Simply drag and drop your log file, or log files directly onto the user interface and the tool will automatically process the data to allow you to analyse and filter for common SEO issues in the program’s user interface, or export to CSV and Excel. The free version of the Log File Analyser tool is free to download and use. However, this version is restricted to analysing 1k log events and it does not allow you to save more than one project at a time. For just £99 per year you can purchase a licence, which removes the 1k log events limit and allows you to save multiple projects. Alternatively hit the ‘buy a licence’ button in the Log File Analyser to buy a licence after downloading and trialling the software. The Log File Analyser supports Apache, W3C Extended and Amazon Elastic Load Balancing Log File formats. You can test to see whether your log format is supported by trialing the free version of the tool. If you have any issues, then send through your Log File Analyser logs (‘Help > Debug > Save Logs’) to our support and we can help. Please read our user guide, regularly updated FAQ and guide on ways to perform log file analysis for inspiration. Please also watch the demo video embedded above. We plan on expanding our video tutorials over time. If you have any technical problems, feedback or feature requests for the Log File Analyser, then please just contact us via our support. We plan to regularly update the Log File Analyser and currently have lots of new features in development!